To empower parents to understand and support their child’s development through game playing. 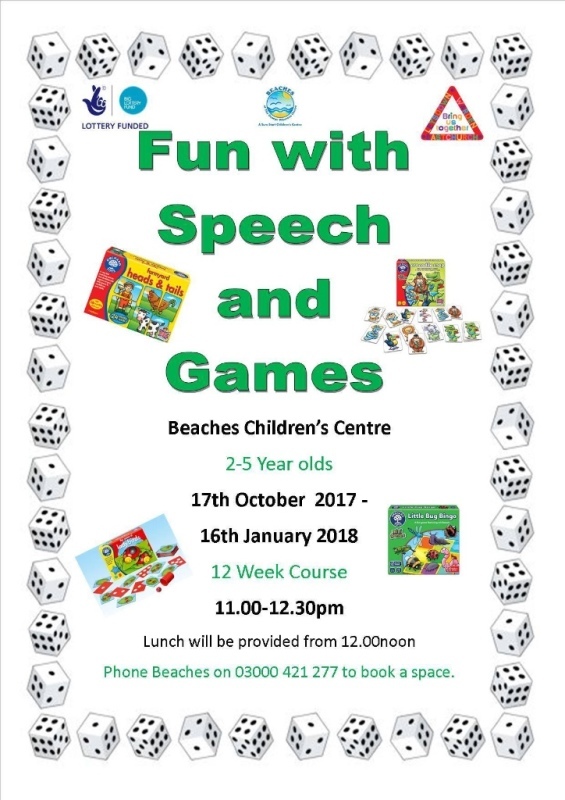 Parents/carers to have meaningful conversations with their child developing speech & Language whist spending time engaged in a game. For children to interact through speech with adults. To build esteem in both parents/carers and their children in order to develop good levels of speech and language. To support parents in understanding the positive impact of good communication with their child. To encourage parents/carers to spend time playing games with their children. The programme is still currently being delivered and results will be uploaded shortly.